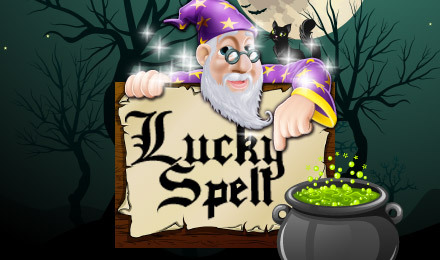 Lucky Spell slots is a 3-reel slot game sure to have you spellbound! Do you have the magic formula to win the treasure? The Lucky Spell Slot Machine has a wizarding theme where you can enjoy a fantasy adventure across the reels. It’s a classic three reel slot machine with one payline and lining up three of a kind of any symbol will net you a cash prize. The game also offers a range of sound effects and music which fit in brilliantly with the wizard theme. This slot has many innovative features and chances to win, you can bet on no winning combos coming in if you want too. It’s packed out with classic fruit machine features that make it more enjoyable including auto-bonuses, auto-nudges, auto-holds and auto-superholds. The betting range also ensures this game appeals to plays of all budgets, even high rollers. Lucky Spell slots offers exciting graphics and all the features you would expect from a classic three reel slot machine. The jackpot isn’t huge but it’s worth playing if you enjoy retro games.